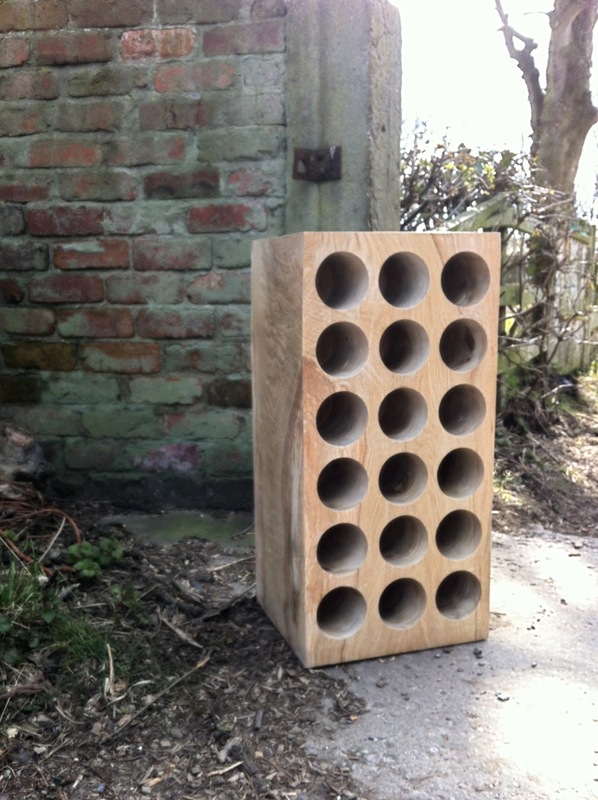 Solid English Oak Wine Rack. This stunning Oak Wine Rack has been sized from one old ethically sourced majestic tree. The holes have been drilled large enough to encase your bottle whatever the size, helping to keep the temperature of the wine constant within the natural timber. The wine rack will move and shake in its new environment naturally changing its colour. Over the years it can be enhanced by giving it a good polish with a natural beeswax.